“I’m beginning to think you might not be cut out for this work Nick. This really struck a nerve with me and I’ve been thinking of it ever since. 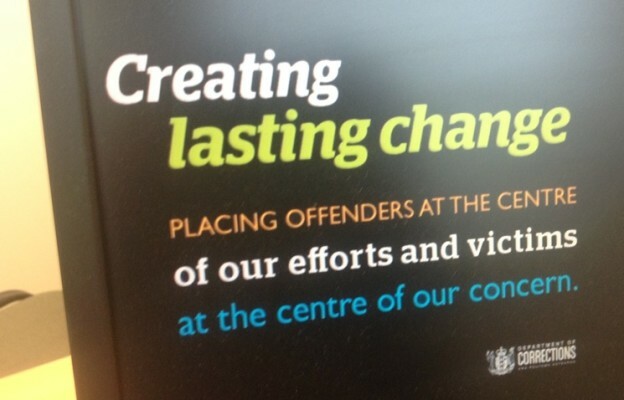 The project (for the Department of Corrections) was the most intense I’ve worked on. It really stretched me – with interviews ranging from young offenders through to ‘lifers’ on parole, murderers on methadone and some fully patched members of notorious NZ gangs. The interviews usually took place in Corrections’ facilities, sometimes in homes, and were always chaperoned. 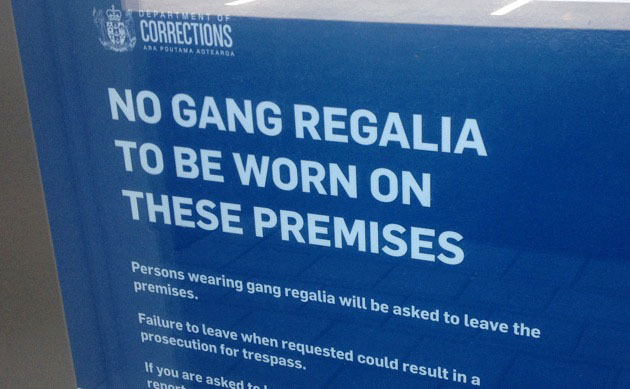 With the amount of prison ink I saw, there was no need for patches to identify gangs. The sessions often opened emotional cans of worms and my initial fears soon gave way to tears in the eyes of the people I was interviewing as they told their stories, and described what it was like to be a client of the DoC. At the end of each day I was returning home emotionally shattered, and needed equally to have some down-time and to share what were humbling, powerful, and usually sad stories. Yes – the project was affecting me. Their stories were percolating in my mind and there wasn’t room for much else. I was immersed, and I believe that’s what it takes to uncover insights. I mean, it’s called ‘deep dive’ research for a reason. A colleague pointed out how in counselling there’s a risk of transference of emotion from client to counsellor, and how it’s important to regulate your feelings, but I’m not sure there are such rules for design and ethnographic research. My thoughts centred around the people, their struggles and triumphs, the intrigue of prison life, and the underlying design challenge of what it takes to create positive change in these lives. Yes – every service has to be designed, and public sector social services are increasingly taking a human centred approach to improving the way they interact with the people they serve. In the past few years I’ve interviewed ‘users’ of social and public services who are in vulnerable situations – hospital patients in emergency wards, victims of bullying and others. Every time I’ve been ‘effected’ much more so than when the project is around a consumer product involving the lighter sides of our lives. But if you dig deep enough, there is always emotion. I’ve had people drawn to tears in interviews about topics as dry as mortgages, and the individuals’ stories stay with you far beyond the ‘empathy’ they generate for the ‘end user’. It’s an occupational hazard I’m prepared to bear and on a project like this, if you’re not being ‘effected’ … then you’re probably not doing the work justice. We are putting together a proposal currently for a similarly sensitive subject matter, and I’m very mindful of what we may here and discover that we may not be ready for and how it can affect the team. As an aside, I was talking to a colleague (and friend of ours) the other day and we were talking about design (thinking) research and how people are just going out and doing a piece of “empathy” as you really just “learn by doing” without really considering the implications of their work, including ethically. We observed that the at some point this somewhat “gung-ho” attitude towards research (seen in similar models like lean start-up) is going to blow up in people’s faces. Essential to think about your audience and the potential harm it could do to participant and researcher alike. Lucky for us, IDEO have now done a book on research ethics, so we can all rest easy as suddenly everyone will start talking about ethics! Totally agree, Nick. You can’t have empathy and not be impacted by your interviewees, particularly if their stories are as intense as the ones you’ve described. I’d suggest that you have someone you can ‘de-brief’ with afterwards to make sure you’re not hanging onto the emotional fallout for too long. At SEEK we always have a chat about interviews we’ve found emotionally challenging, for whatever reason, and it seems to work. You never forget the people’s stories, but you deal with the adverse effects of hearing them. Nick — this is very important work and I applaud you. I suspect we’ll always feel peoples’ pain alongside them when we are willing and able to ask questions honestly, and to listen with an open mind and heart. And hmmm, I wonder if this is when we are *most able* to actually help people … Certainly it’s important to remind ourselves (myself!) that reveling in our own cleverness and asserting our will should come a distant second to genuinely improving the lives of others (always good for me to acknowledge that I’m not the centre of the universe, shock horror haha). Would love to work with you on something like this. Email me when the time’s right perhaps. Kathryn. Yet another great and insightful article, Nick. Completely agree if you’re not being ‘effected’, then you’re not doing the work justice. I remember how humbling it was when I got the chance to talk to court users about their experience. And this was just a ‘snapshot’ survey. It certainly helped to shatter some of my biases and assumptions (which I tried to leave behind). Having done interviews and product testing with people with degenerative conditions and other severe medical conditions, I can relate to this. It’s a fine line to have the empathy, but keep the self-sanity to help change things too.